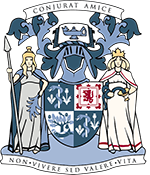 A special symposium is taking place today, 15th April 2015, in the Royal College of Physicians and Surgeons of Glasgow celebrating a century of paediatric care at the Royal Hospital for Sick Children (Yorkhill). The first children’s hospital in Glasgow was opened in a converted townhouse in Garnethill in 1883. Space was always an issue and in 1914 a purpose-built hospital was opened by King George V and Queen Mary at Yorkhill. The hospital was designed by John James Burnet (the architect who designed College Hall). Care for newborn infants in Glasgow was initially at the Glasgow Royal Maternity (Rottenrow) and, from 1964, in the new neonatal facility opened at The Queen Mother’s Maternity Hospital, built next door to the Royal Hospital for Sick Children at Yorkhill. The Royal Hospital for Sick Children had a temporary move in 1966 to the former Oakbank Hospital buildings in Maryhill while a new hospital on the Yorkhill site was being constructed. The new hospital building was opened in 1972. There are some records relating to the Royal Hospital for Sick Children within the College archives, most notably a volume of case notes of William Macewen dating from 1883-1886 (the majority of records are stored at the Greater Glasgow and Clyde Health Board Archives). William Macewen along with Hector Cameron were the first honorary visiting surgeons of the Sick Children’s Hospital at Garnethill. The gas-lit operating theatre was at the top of the building and the first operation took place on January 22nd 1883, when Macewen operated on an eight-year-old boy for excision of the hip. Macewen performed all aspects of general surgery during his time as visiting surgeon, being particularly interested in the correction of bone deformities as a consequence of rickets. He terminated his appointment in 1892 when he was appointed to the Regius Chair of Surgery at the University of Glasgow. Apart from children, the volume of case notes contains the case of a fish with curvature of the spine. Unfortunately there was no happy ending as the fish was found dead one day and was ‘carefully removed & left for further examination’. Case of a fish from William Macewen’s Case Book (RCPSG 10/9/14). Macewen’s case notes have been put out on display in Crush Hall along with other items kindly loaned by NHS Greater Glasgow and Clyde Health Board Archives. 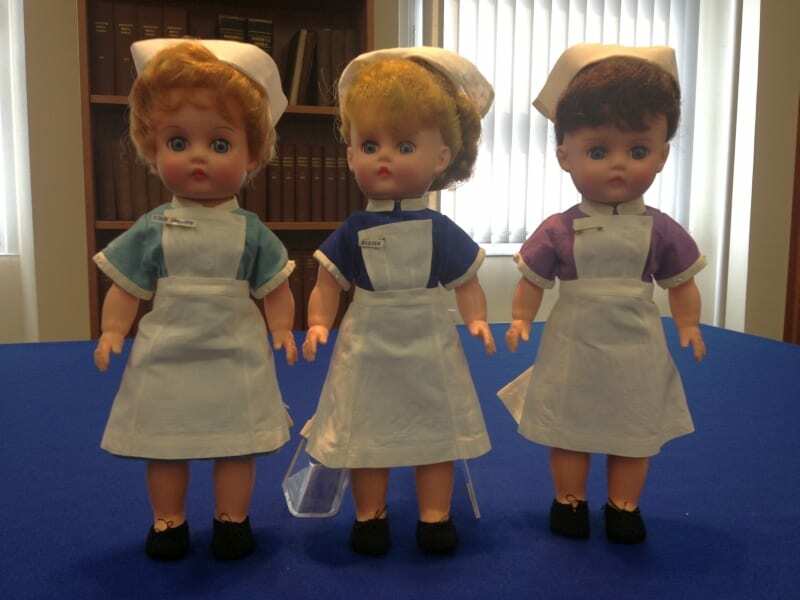 These include three dolls wearing the uniform for a sister, a staff midwife and a pupil midwife as worn at the Queen Mother’s Hospital in 1964. The uniforms were made by Miss H.J. Chalmers (QMH 1963-1980). 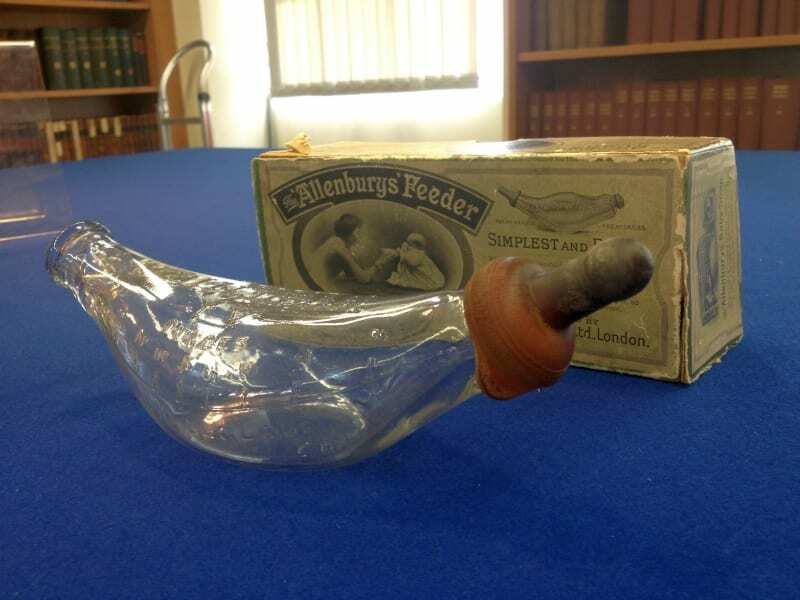 Also on display is an Allenburys’ Feeder Bottle of the type first produced in 1910. This form of banana-shaped bottle for feeding babies proved to be so successful that the design remain unchanged for the next fifty years.